The question posed by this reissue’s title is a valid one. 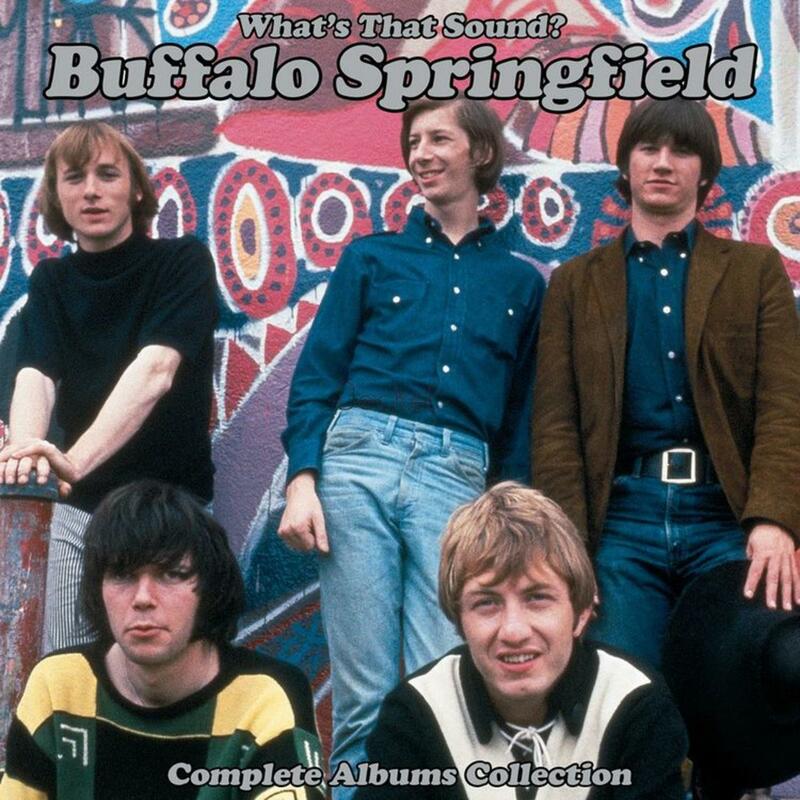 What exactly was Buffalo Springfield’s sound? Was it rock, pop, folk-rock, baroque, psychedelic, singer-songwriter, Latin influenced, Americana or the always contentious “country rock”? The quintet’s meager output — the band only lasted for three albums and two years (1966-’67) before combusting — was all those genres and more. How else to explain such unique entries as Neil Young’s orchestrated gem “Expecting to Fly” sharing space on the same album as Stills’ blues-rocking “Hung Upside Down”? The follow-up, 1967’s Buffalo Springfield Again, was arguably its finest hour, well, actually 33 minutes. All three frontman contributed solid material led by Young’s raucous re-write of the Stones’ “Satisfaction” riff in “Mr. Soul.” Stills’ psychedelic guitar rocking “Bluebird” is folk-blues rocking at its most creative and riveting and Furay’s sweet, acoustic country charmer “A Child’s Claim to Fame” sounds like a dress rehearsal for his work with Poco, the outfit he formed after Springfield disbanded. The original three CDs are still available separately, and these tracks are almost all included in 2001’s comprehensive, in print and — with its rarities, demos unreleased tracks and lavish book — essential four disc Springfield package. The primary reason for this set’s existence is updated remastering and the somewhat obscure mono mixes of the first two discs. The same team that worked on Neil Young’s catalog sonic upgrade cleaned up the audio by using original masters. The improvement is noticeable, if not jaw-dropping, and the albums are also available on vinyl for the first time since their release. Sure, it feels like a cash-grab; anyone who already owns the box can save their money. And expanding this to five short platters (with no booklet or new notes), when it would have been cost effective to combine them on three is not only inefficient but pushes the list price to almost $40. Still, for those who haven’t yet been exposed to the revelatory music of Buffalo Springfield, now is as good a time as any to explore the catalog of a group whose eclectic, still undefinable sound helped kick start the Americana genre.